NASHVILLE, Tenn. — Epic Records is going to "great efforts" to take down a new Future remix leaked over the weekend with a vulgar Lil Wayne lyric that has offended the family of Emmett Till. The New Orleans rapper made a sexual reference to the beating death of Till, a 14-year-old Chicago boy tortured and shot in Mississippi in 1955 for whistling at a white woman. Till's family objected and the Rev. Jesse Jackson reached out to his management, The Blueprint Group, on the family's behalf. The label issued a statement Wednesday night apologizing for the release of the song. "We regret the unauthorized remix version of Future's 'Karate Chop,' which was leaked online and contained hurtful lyrics," the statement said. "Out of respect for the legacy of Emmett Till and his family and the support of the Reverend Jesse L. Jackson, Sr. ... we are going through great efforts to take down the unauthorized version." Epic will release an official version of the song that "will not include such references." Neither Jackson nor members of Till's family could be reached late Wednesday. A publicist says Lil Wayne has had no comment so far. He appears briefly on the song, alluding to the black teenager's beating in a way too vulgar to print. Till, a native of Chicago, was in Mississippi visiting family in 1955 when he was killed. He was beaten, had his eyes gouged out and was shot in the head before his assailants tied a cotton gin fan to his body with barbed wire and tossed his body into the Tallahatchie River. Two white men, including the woman's husband, were acquitted of the killing by an all-white jury. Till's body was recovered and returned to Chicago where his mother, Mamie Till, insisted on having an open casket at his funeral. The pictures of his battered body helped push civil rights into the cultural conversation in the U.S.
Bob Dylan wrote a song about it: "The Death of Emmett Till." A Facebook posting on the Mamie Till Mobley Memorial Foundation page Wednesday night said Epic Records Chairman and CEO LA Reid had reached out to the family to personally apologize. Yeah just stupid and disrespectful. I read about this on Twitter and was completely irritated. LA Reid apologized, but everyone else involved needs too as well. This is exactly why I don't listen to Lil Wayne and a lot of the rap music out today. These people have no respect for themselves less more others including Emmett Till. 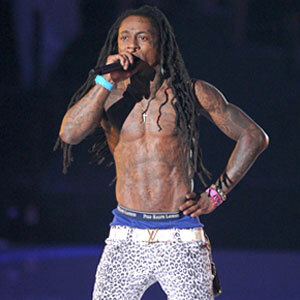 I think that anybody waiting on an apology from Lil Wayne might as well stopped holding their breath. I don't think that he's going to issue one. But kudos to LA Reid for stepping up to the plate and handling this.